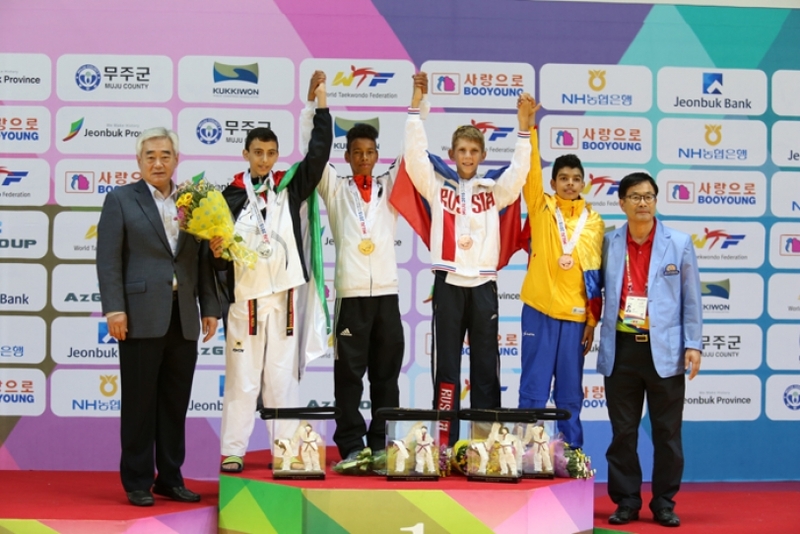 SEOUL, Aug. 26 (Korea Bizwire) – Palestine won its first-ever medal at a World Taekwondo competition with 12-year-old Mohammed Yasini’s silver medal. Yasini settled for silver after being defeated by Germany’s Ranye Drebes in the gold medal match in the men’s under 41 kilogram division of the World Cadet Championships held at the T1 Arena in Muju, Korea. Although he fell down in the final match, the Palestinian team was thrilled with his achievement, as his silver medal was the first-ever medal at a world sports competition in its history. “I was deeply moved by the words of the chairman of the national Taekwondo federation of Palestine saying ‘Now, we are not lonely any more,’” Shim added. Shim has been teaching Taekwondo in Palestine since 2004. According to Shim, Palestine won a bronze medal at an Asian-level Taekwondo competition, which attracted more Taekwondo learners. Currently, there are approximately 10 Taekwondo studios with some 1,000 learners.